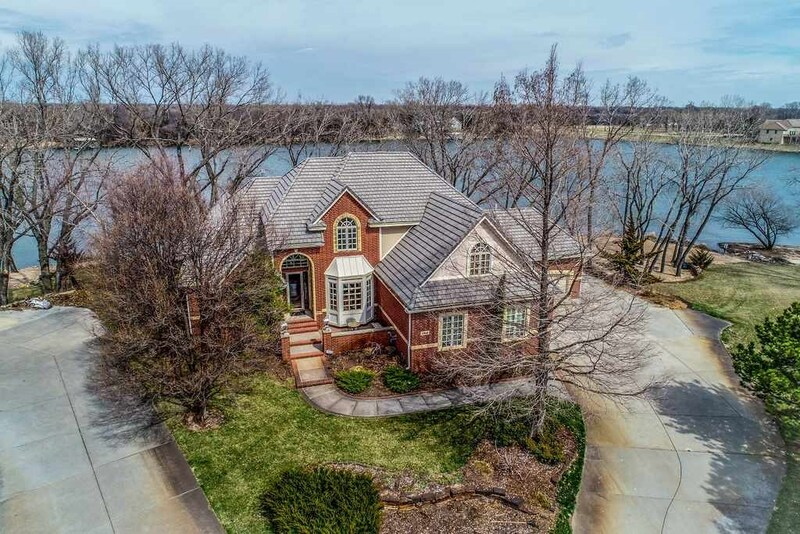 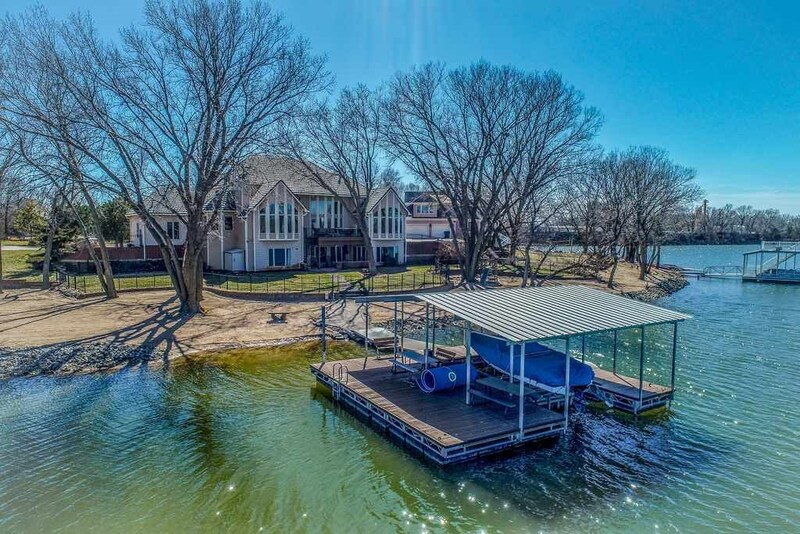 Spectacular home on one of the absolutely best lots in Barefoot Bay with Panoramic Lake Views and over 310 feet of shoreline! 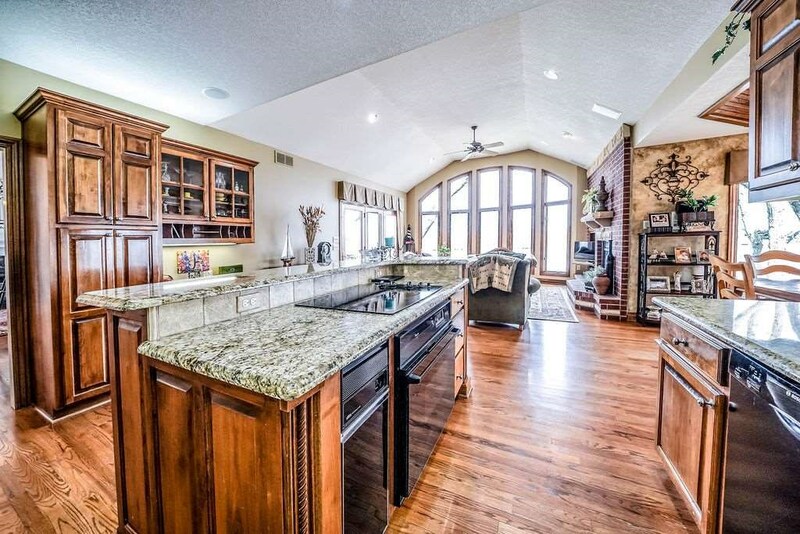 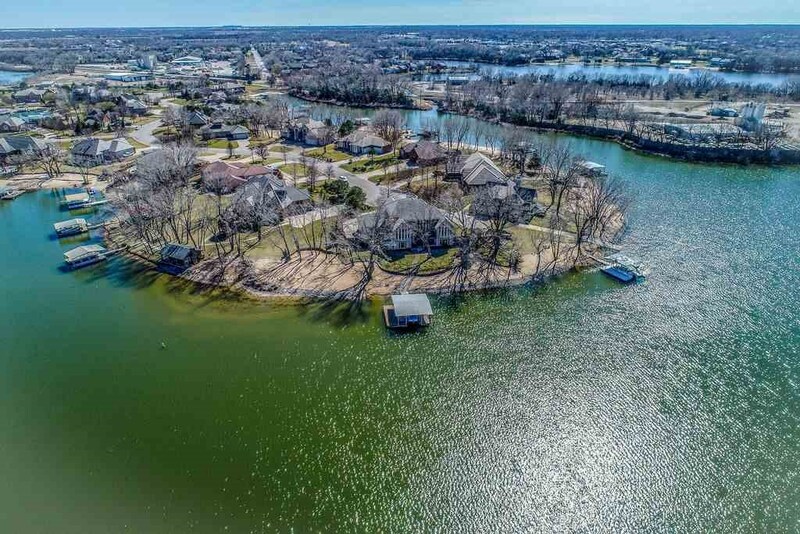 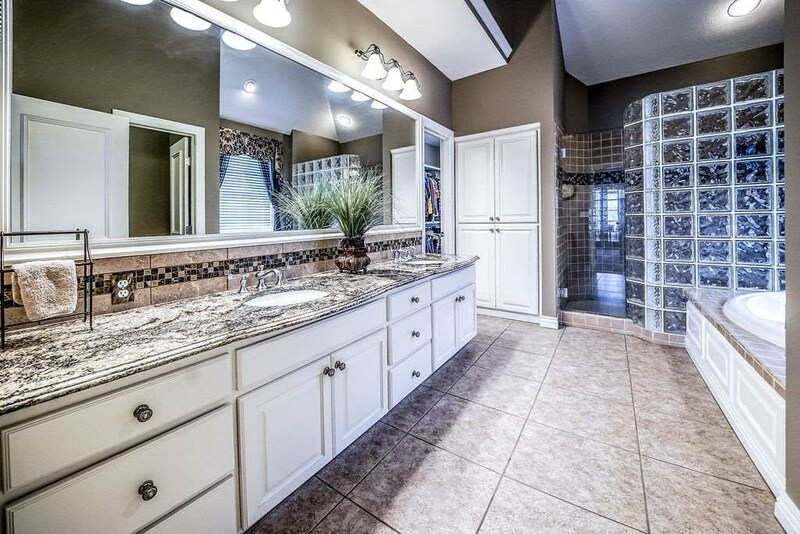 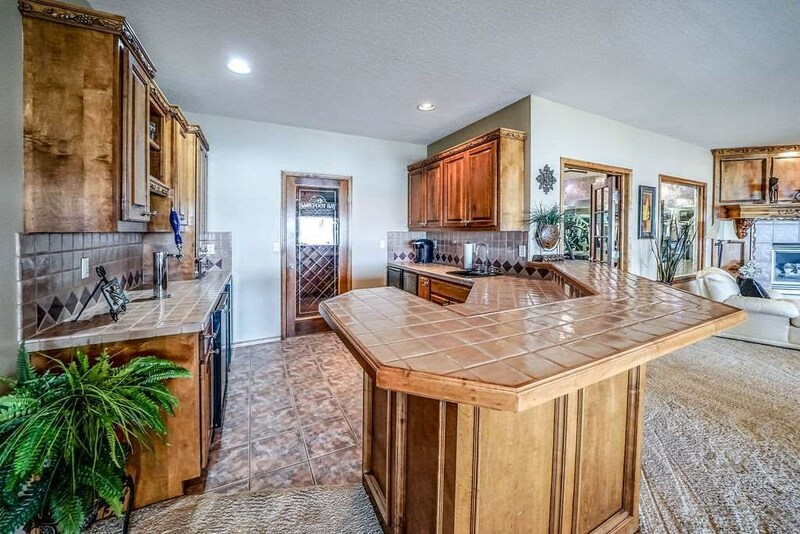 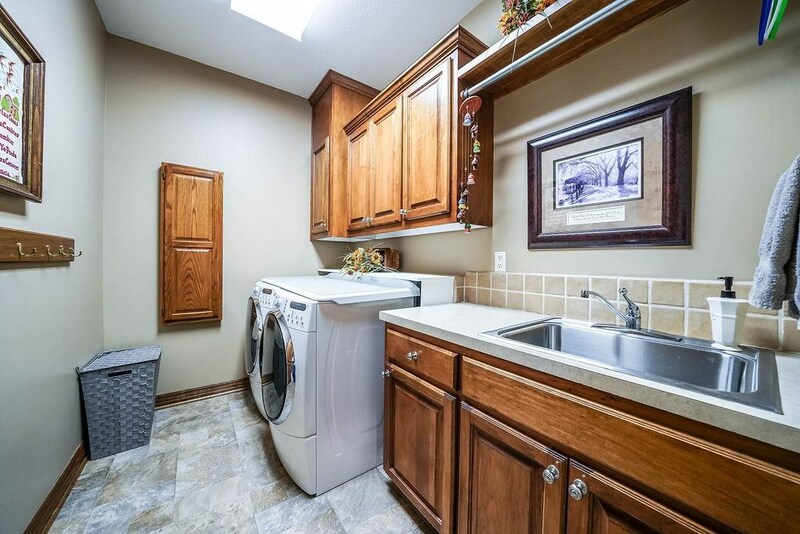 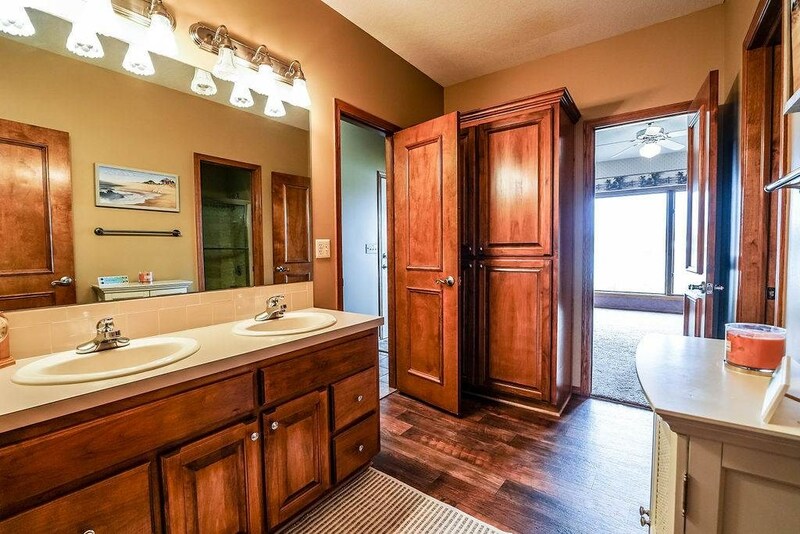 This is a rare opportunity to own an upscale home in a Vacation setting where you can waterski, jet ski and fish on Wichitaâs Premier Lake Community with less residents per acre of water than any other community! 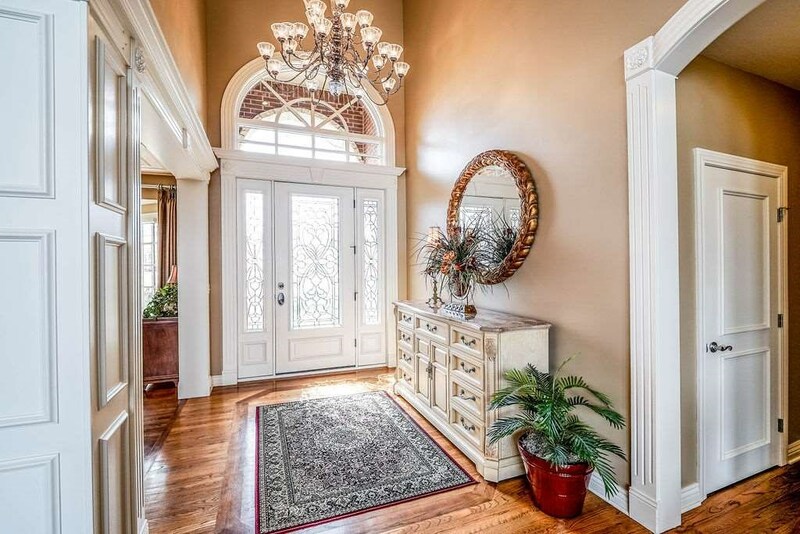 This spectacular custom-built home boasts a two-story entry with a leaded glass entry door and two matching sidelights, two tier transoms with roundtop window, inlaid wood floor and upgraded trim! 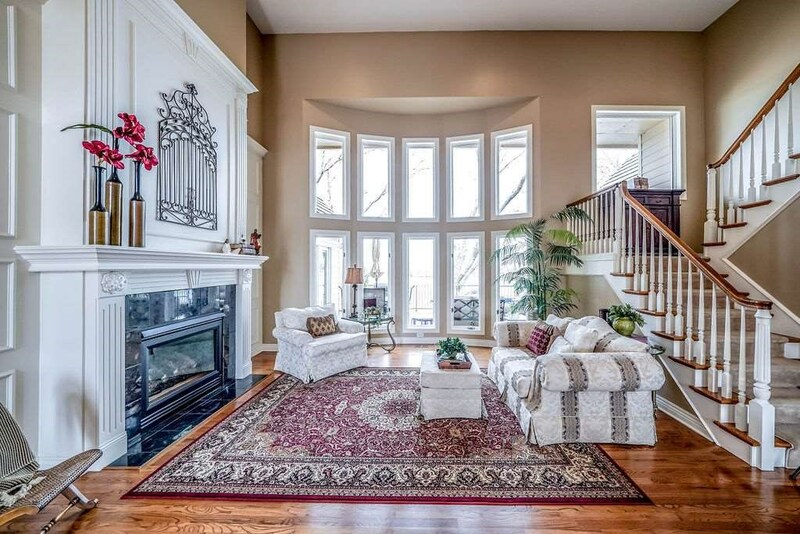 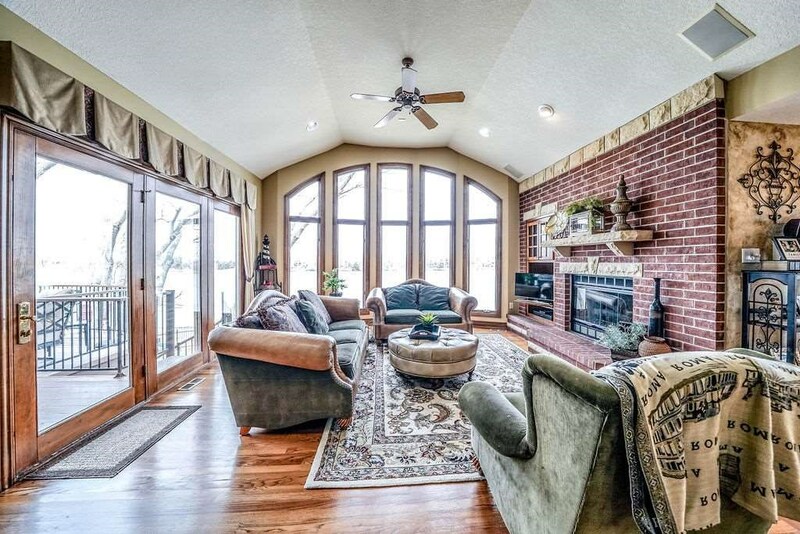 The expansive Great Room features a huge bow window with large second tier transoms overlooking the lake, 2-story ceiling, gas fireplace with whitewood and tile face with wood panels above including fluted columns plus library panels on each side, open rail U-shaped second story staircase and wood floor! 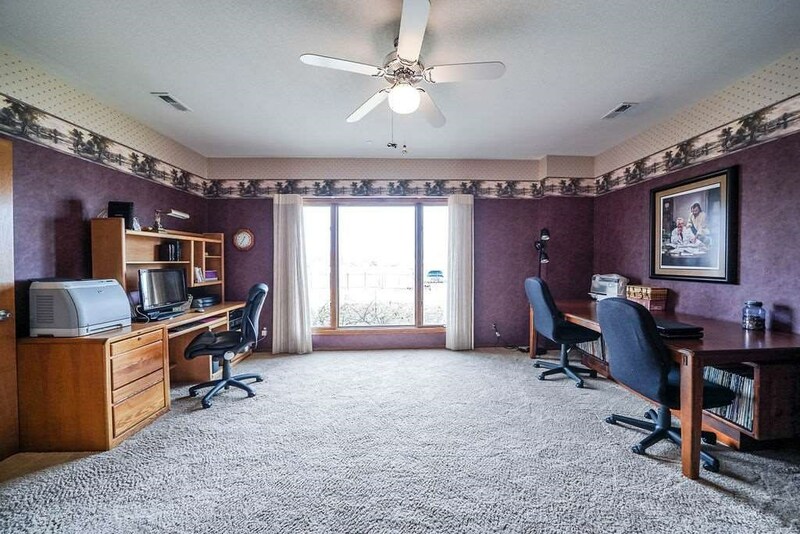 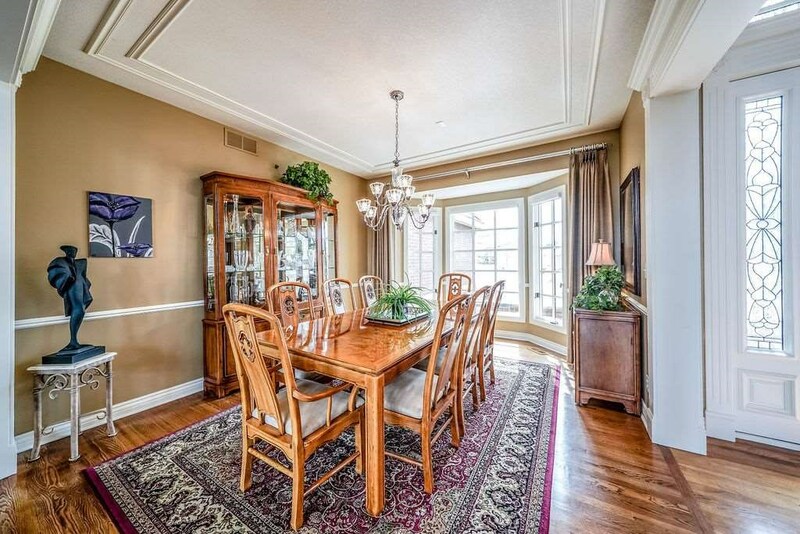 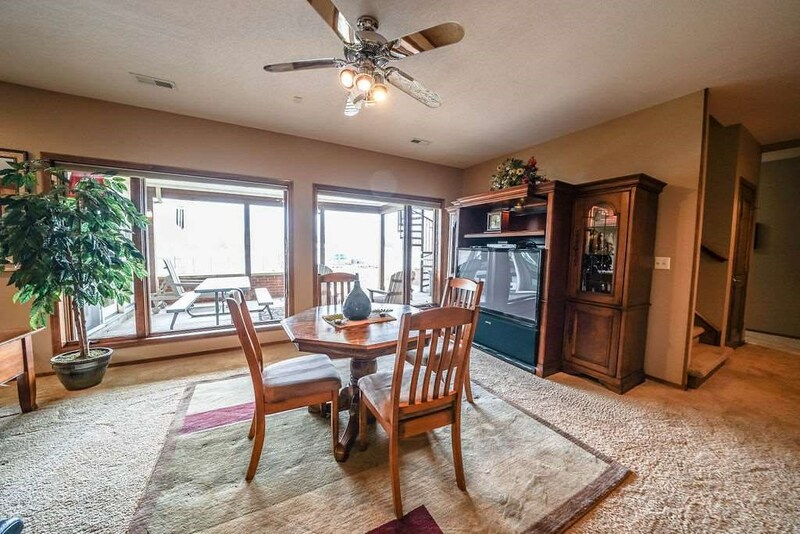 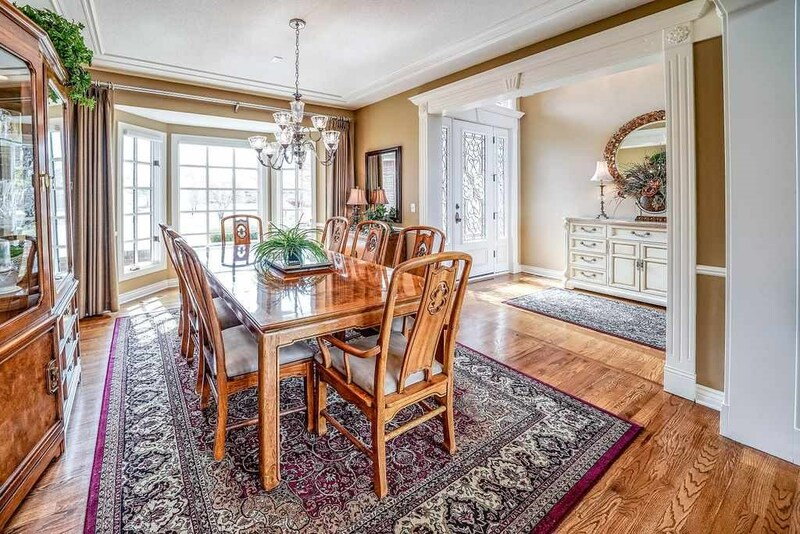 Formal dining room has a large bay window, tray ceiling, upgraded fluted trim and wood floor! 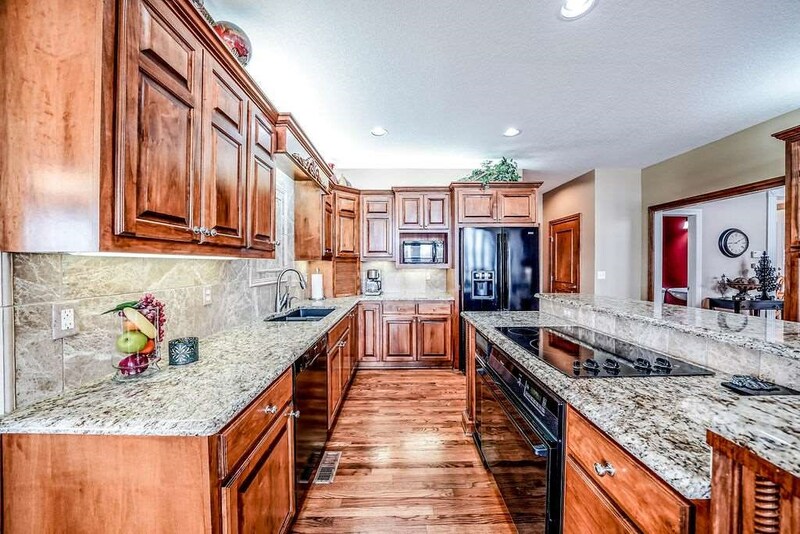 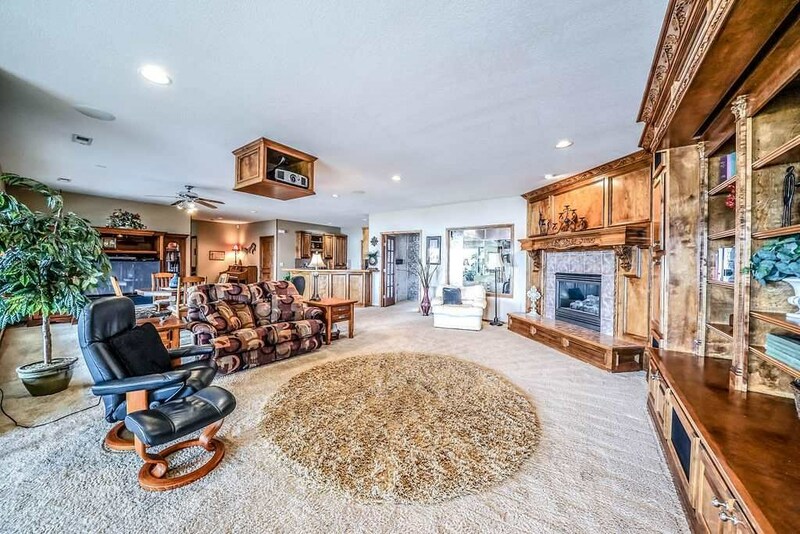 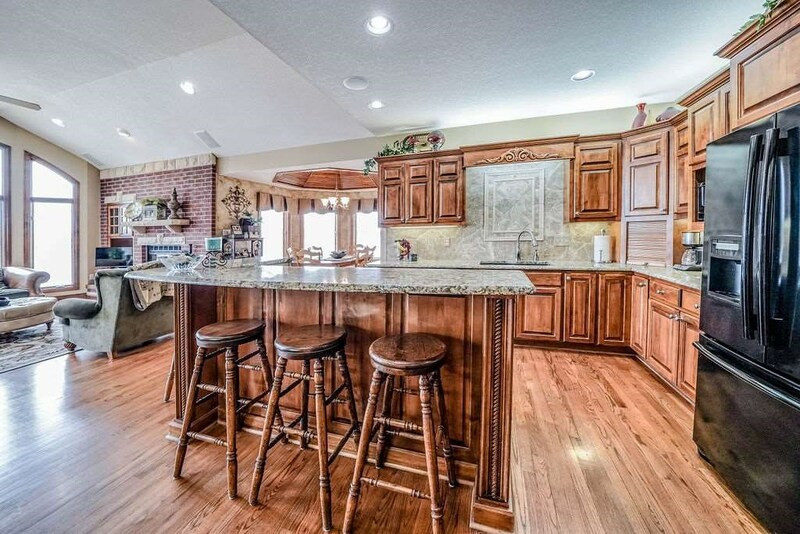 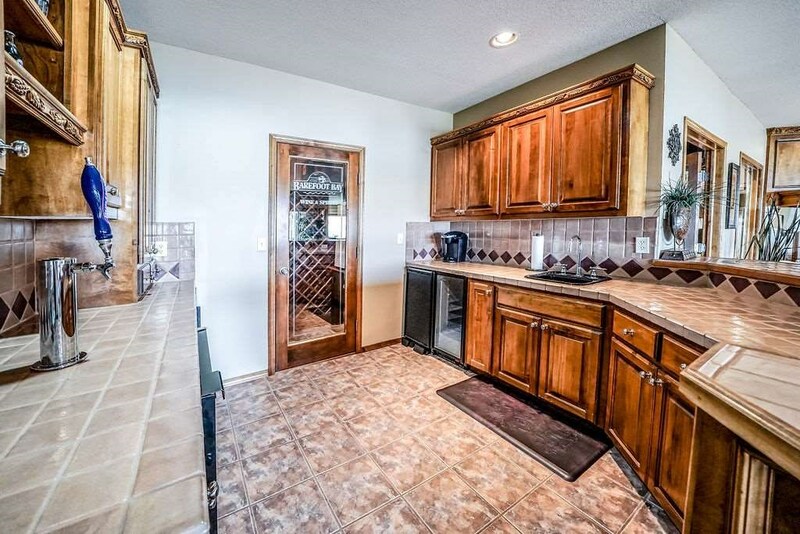 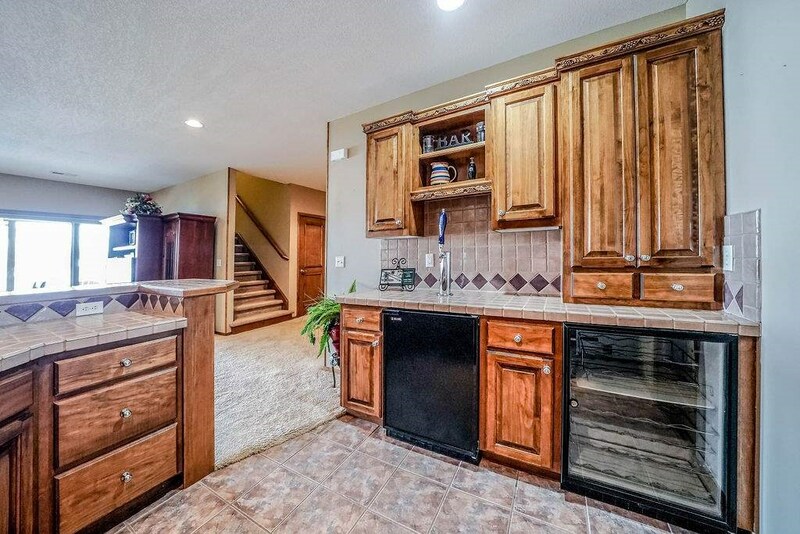 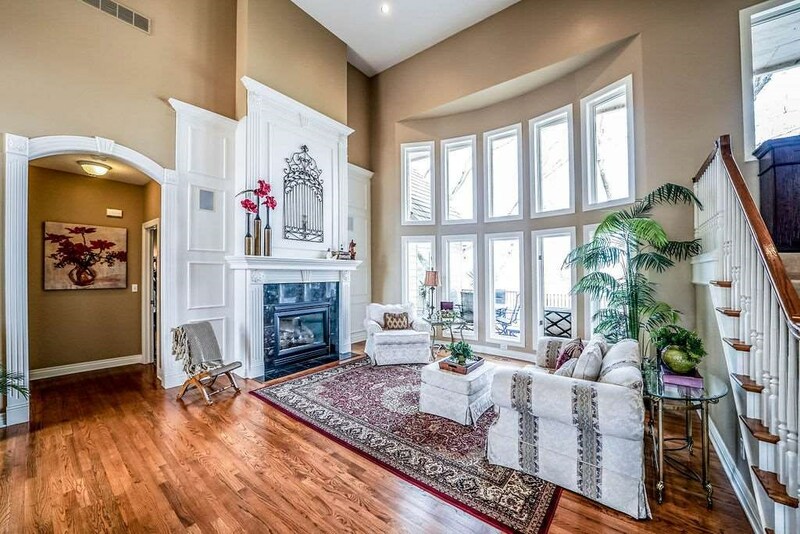 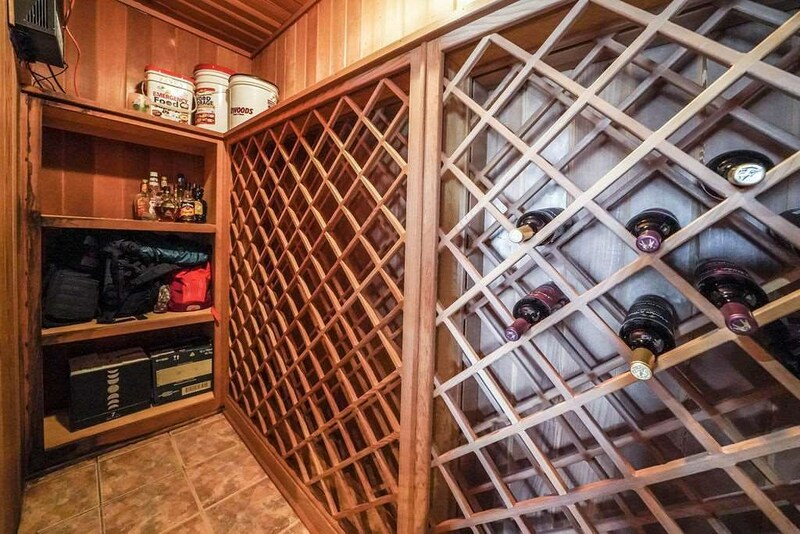 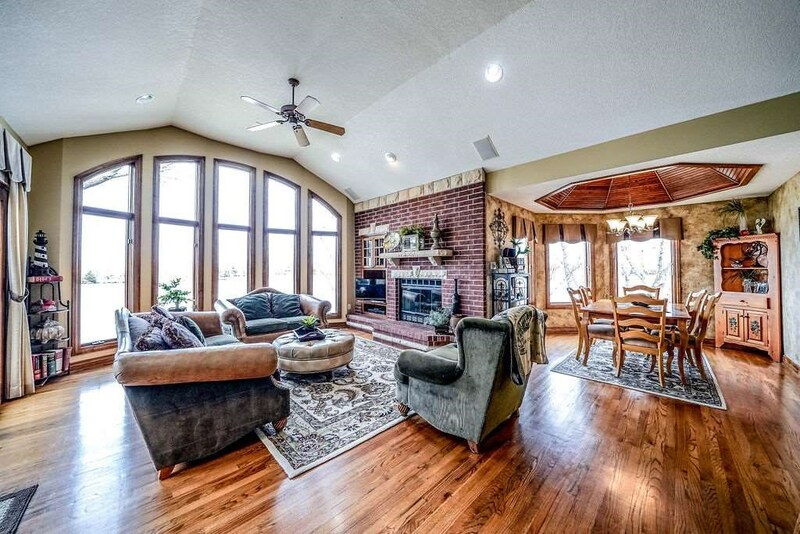 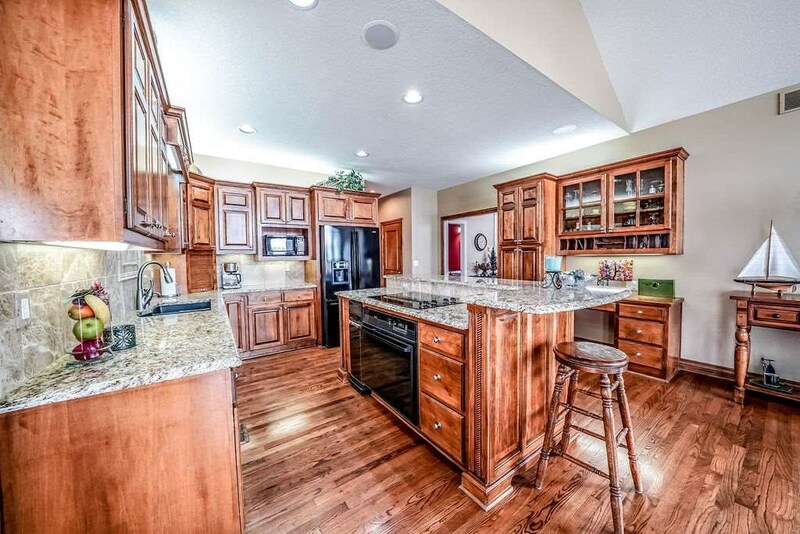 Fantastic maple kitchen with granite tops that opens to a huge hearthroom a bow window with transoms that creates at elliptical affect, triple atrium doors to deck, wood floor and a woodburning fireplace with gas logs! 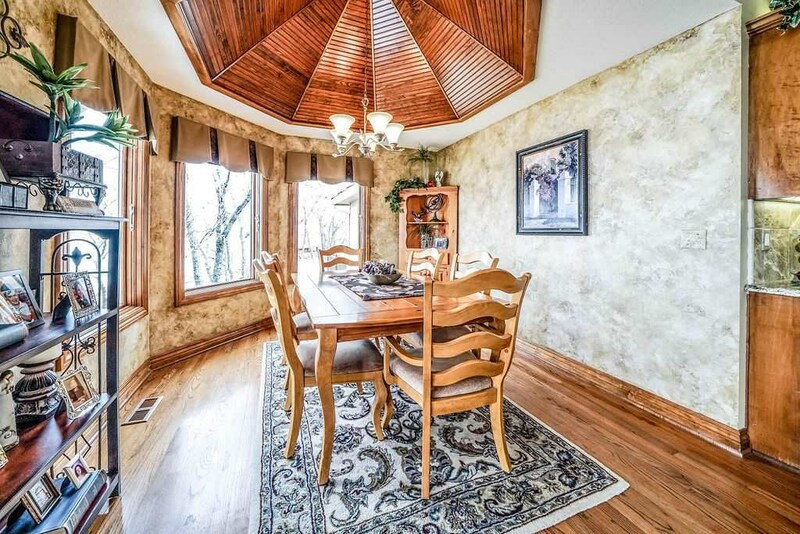 Also open to kitchen & hearth is a great breakfast nook with a bay of picture windows overlooking lake, octagon wood covered ceiling and wood floor! 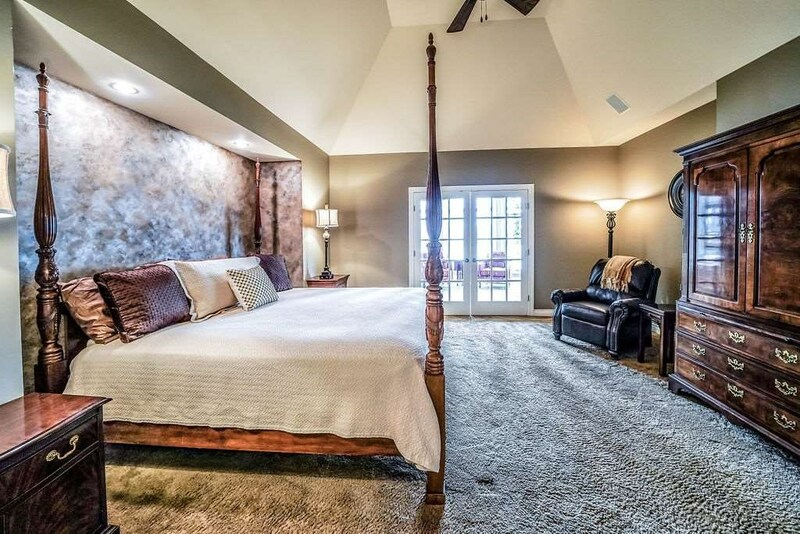 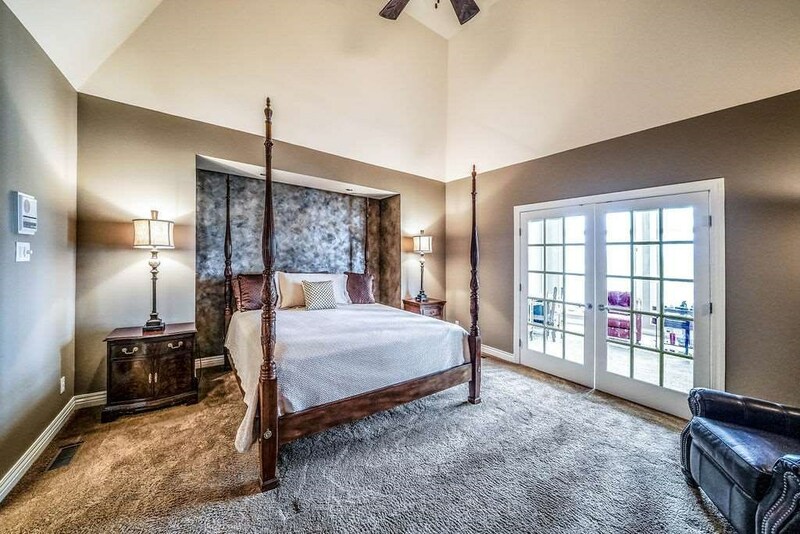 The incredible master bedroom has a high coffered ceiling, inset for the bed with can lighting, an ensuite bath with an oval soaker tub, huge walk-in tile shower with glass block wall, large upgraded granite top vanity, high vaulted ceiling with plant shelf and huge walk-in closet! 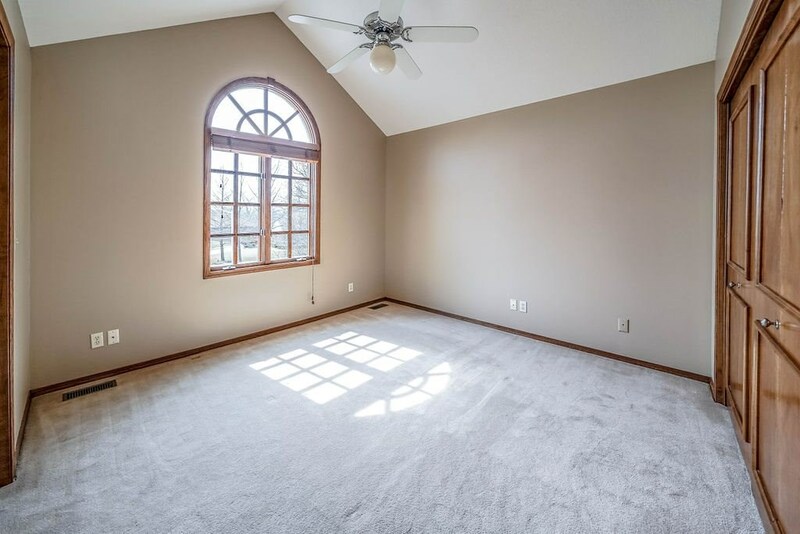 Off the master bedroom is a fabulous office with French door entry, bow window with transoms that creates at elliptical affect and Atrium doors to deck! 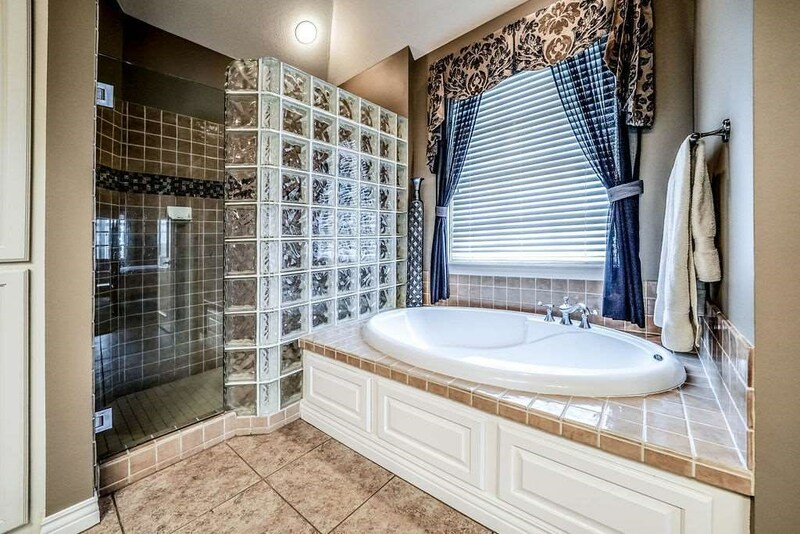 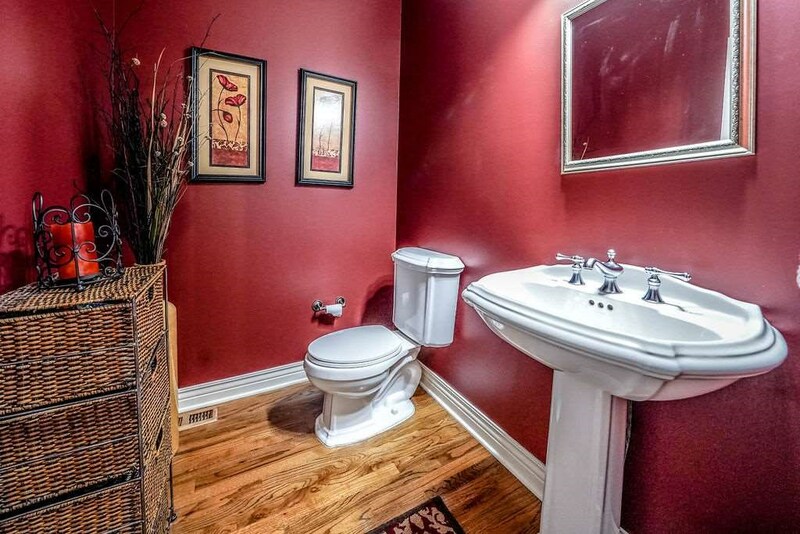 Upstairs there are 3 large bedrooms, 2 bedrooms have a Hollywood bath between them and the other has an ensuite full bath, plus there is a large hallway desk! 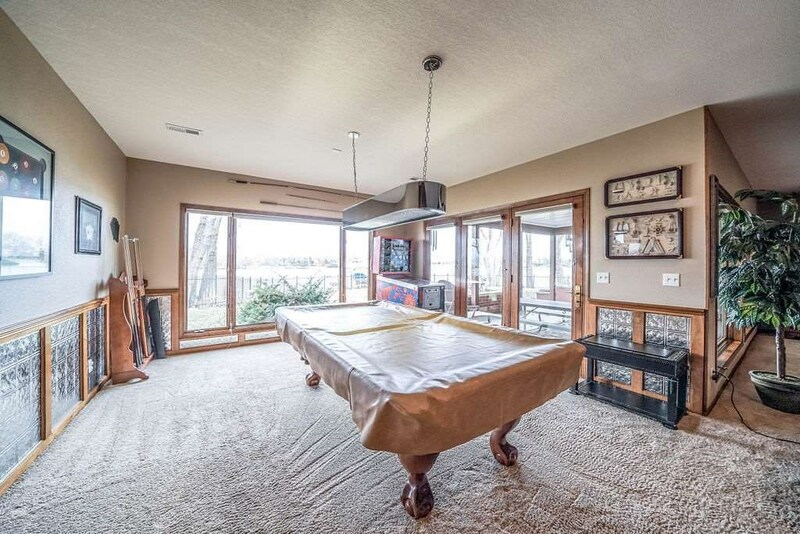 The full walkout basement with extra high ceilings includes a magnificent family room with wood and tile faced gas fireplace with hand carved corbels & accents plus an incredible entertainment center with a projector screen that drops out of ceiling and an unsurpassed sound system for the video system, additionally there is a super wet bar with a Kegerator, wine chiller, ice maker, frig and a large separate wine cellar! 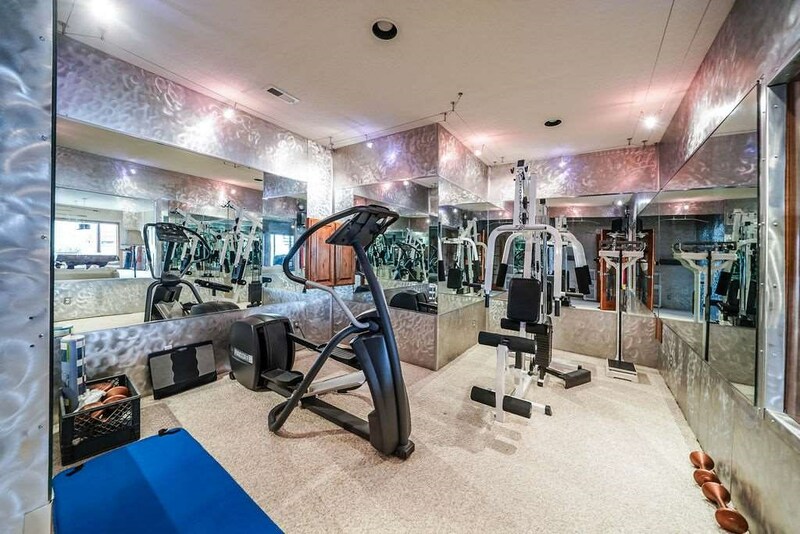 Off the family room is a sharp exercise room with stainless steel and mirrored walls, wire track lighting and a window view to the family room! 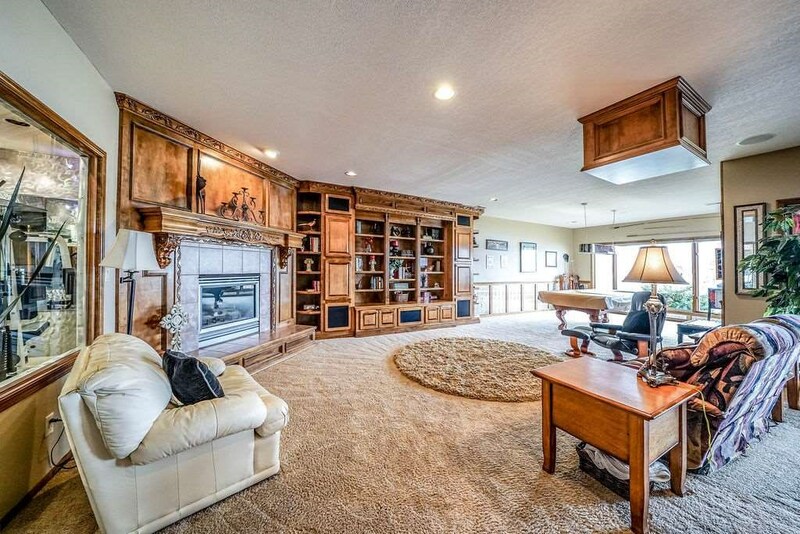 The side load 4 garage features depth long enough to hold a boat and height enough for lifts, it is completely drywalled and painted! 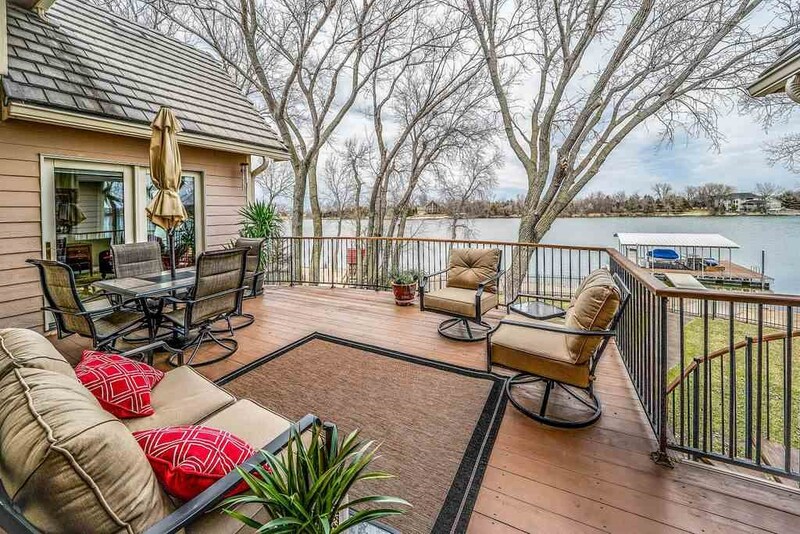 The backyard paradise has a wrought iron fenced yard, a sidewalk to the covered dock that includes a boat lift, sun deck, picnic tables and seating! 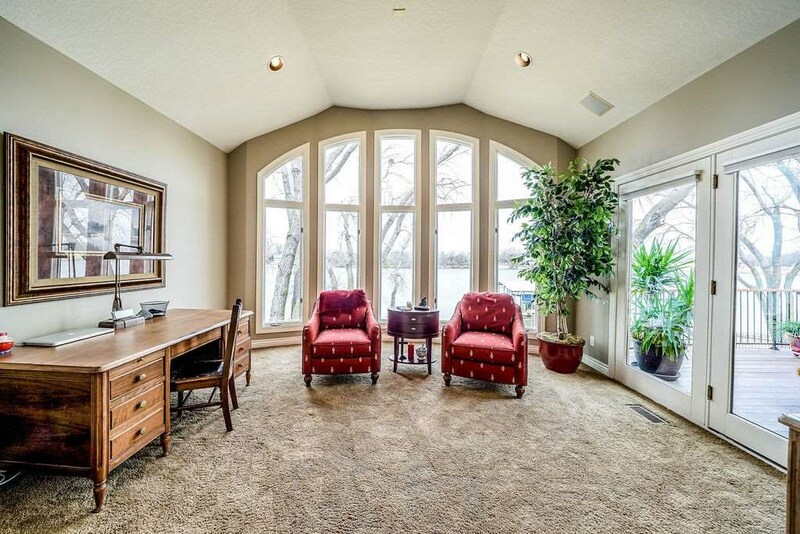 You can truly be on vacation everyday with this incredible lake property! 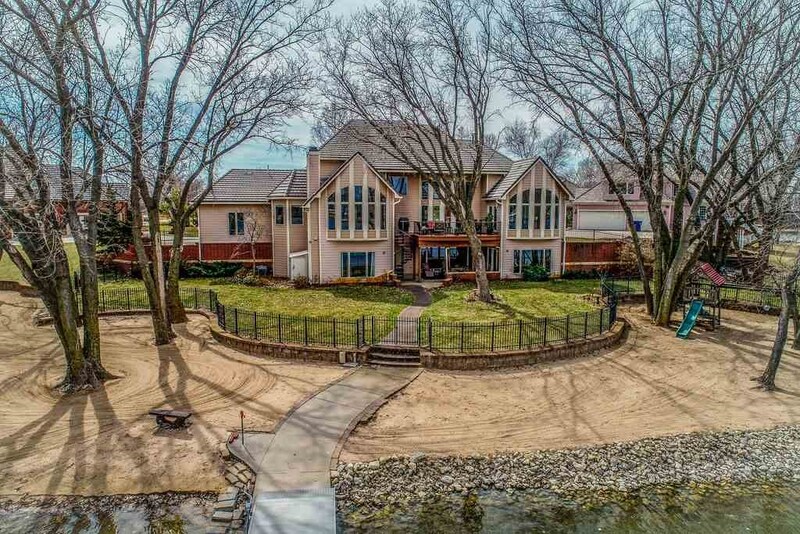 Directions: 21st and North Shore north to Barefoot Bay entrance and follow road north.